John hales from Ventura, California where he grew up surfing and playing guitar. He graduated second in his class from Pepperdine University and then attended Fuller Theological Seminary. His first call as an ordained Presbyterian Pastor was to Community Presbyterian Church also in Ventura. He subsequently held positions with Young Life, The American Church in London, Kings College – University of London, and Peachtree Presbyterian Church in Atlanta, Georgia. He first started writing non-fiction early in his career. He worked as a free-lance writer/editor for Gospel Light/Regal Books where he produced curriculum, study guides, and the occasional book chapter. In 1994 he contributed two sidebar articles to Baker Book House’s Leadership Handbook of Practical Theology, Vol. 2. 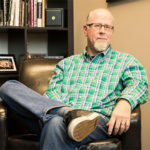 After completing a doctorate from Columbia Theological Seminary, he wrote and edited introductions for all 66 books of The Starting Point Bible, published by Zondervan. 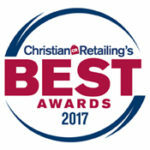 He is currently on staff at North Point Community Church’s Buckhead Campus. He serves there as the Director of Staff Development and the Director of Starting Point. He is a Staff Coach for North Point Ministries. In 2006 John was asked to build a system that made it easy for small groups to serve out in the community. As a result, “The Intersect Project” was born. Today The Intersect Project is a stand-alone ministry division that exists within North Point Ministries. It has staff members on multiple campuses. While involved with Intersect and small group ministries, John coined the phrase “move toward the mess” that Andy Stanley, in his book, Deep & Wide, cites as one of the organization’s primary ministry principles. 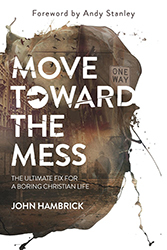 John’s first book, “Move Toward the Mess,” was subsequently published blu David C Cook in April of 2016. In 2017 John began work on his second book. He wanted to write about racism. At the suggestion of a publisher, he joined forces with his long-time friend Teesha Hadra. 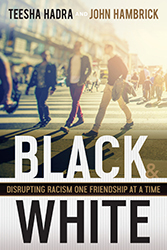 Together they are writing “Black and White: disrupting racism one friendship at a time.” It is due to be published by Abingdon Press in the spring of 2019. John is married to Patty, who is an art teacher at a public elementary school. They have two grown children, John Jr. and Carrell, and a Golden Retriever named Dodger. The Blythe Daniel Agency has been a God-send. Their hard work has taken the work of an unknown, first-time author with a small platform (that would be me) and found a publisher who was willing to take them on. The amazing thing is they've done this twice! I am beyond grateful.